At just 8 to 9cm long, the Weebill is Australia’s smallest bird. We have been hearing them regularly and occasionally seeing them for the past few weeks, but photographing one is another matter. They are constantly on the move, usually high in a tree canopy, often hovering while gleaning insects from the foliage. We got lots of blurred images or ones with leaves or twigs partly obscuring the bird – and the unflattering shot above, which at least shows how acrobatic they are ! 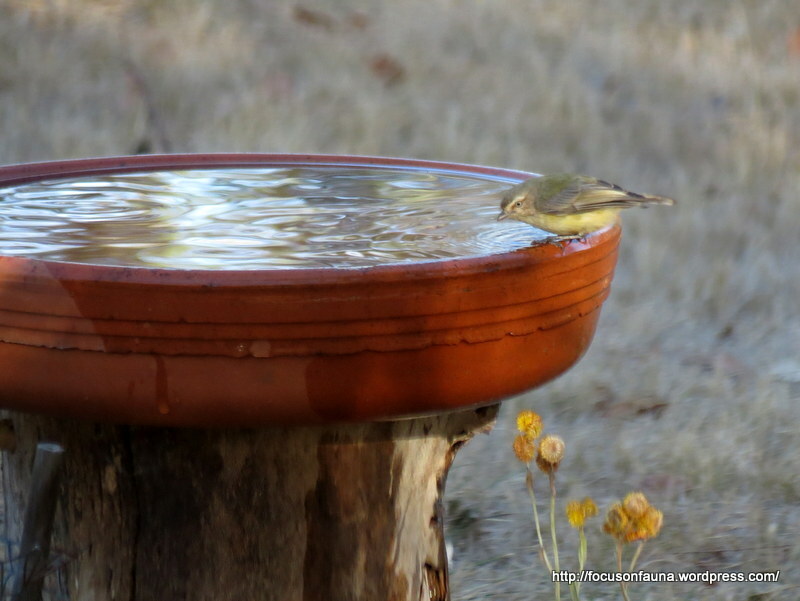 It was only when a couple ventured down to a bird-bath that we got a half-way decent snapshot taken through a window – click on the image at right for a better view. 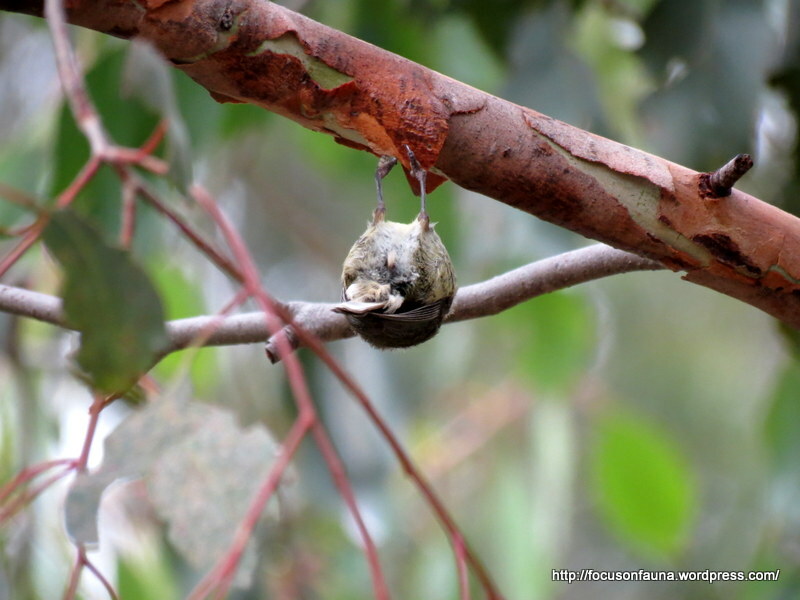 The Weebill is a common bird of dry open eucalypt forest and woodland, often encountered in association with other small insect-eaters such as thornbills and pardalotes – it can easily be confused with the Yellow Thornbill, although the Weebill has a much stubbier bill, as its name suggests. For such a tiny bird, it has a surprisingly loud and distinctive call, which means it is often heard before being seen. Click on the bar below to hear a sample of its call, recorded locally.